How did $27 million in mystery money flowed through two Canadian Casinos? You can’t follow the online casino regulation story and not hear the argument that online casinos are bad because they’re conduits for money laundering. Apparently, as the legend goes, would-be criminals can deposit money and cash out quickly, laundering money along the way. What they don’t mention is that when you deposit to an online casino, you do so not with cash, but with credit cards, which are traceable. And you need to verify your identity. 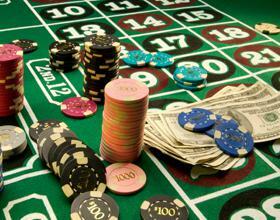 The reality is that online casinos are pretty bad if you’re trying to launder money. There are way too many anti-fraud layers to prevent you from funneling money through the system. Instead, these online casino opponents should direct their attention to the live world. Just look at what’s happening up in Canada. A recent news investigation has revealed that nearly $27 million in suspicious cash flowed through two British Columbia casinos this past spring. The report reveals that in many cases, gamblers arrived with shopping bags and suitcases filled with money in $20 and $50 denominations. In one case, someone entered the casino with $800k in twenties. Another had over $1.1 million in cash. Suspicious is the understatement of the year. Many believe the cash belonged to those involved in the drug trade. It’s suspected that the cash was changed for chips, played a little, and then cashed back out for chips. And it wasn’t the first time this has happened. Three years ago, reports uncovered that the same thing happened at British Columbia casinos. Back then, it was to the tune of about $9 million. That was three years ago, and the government promised to do something about it. Fast track to today and the amount has tripled. The government is trying to move to cashless transactions to help keep track of how people are spending their money and whether their wins are real, but that obviously hasn’t happened quite yet. With this kind of suspicious activity happening in the real world, it’s nice to know that the online world is a little safer. Hopefully the live casinos look to the online world to see the tactics they can use to keep criminals off the casino floor.